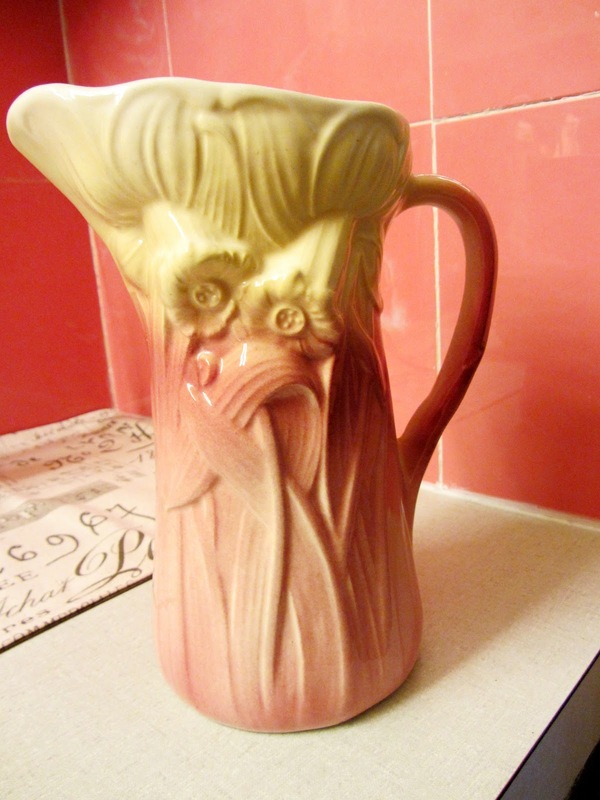 My Mom gave me this Royal Copley pitcher a while ago. 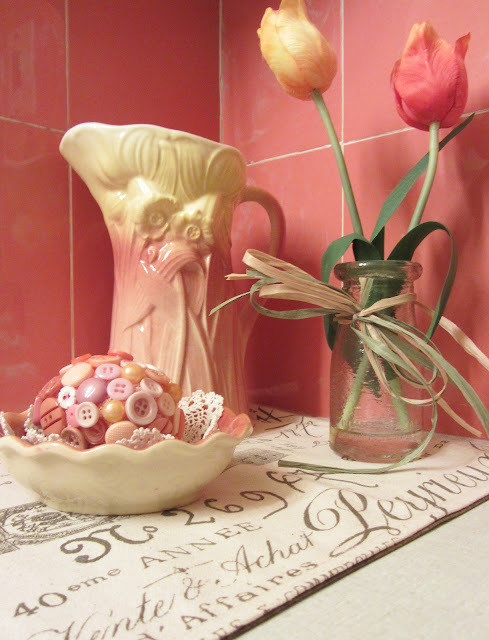 It matches the vintage coral tile in my bathroom. I recently found these two pieces at a local consignment shop, Second Act. 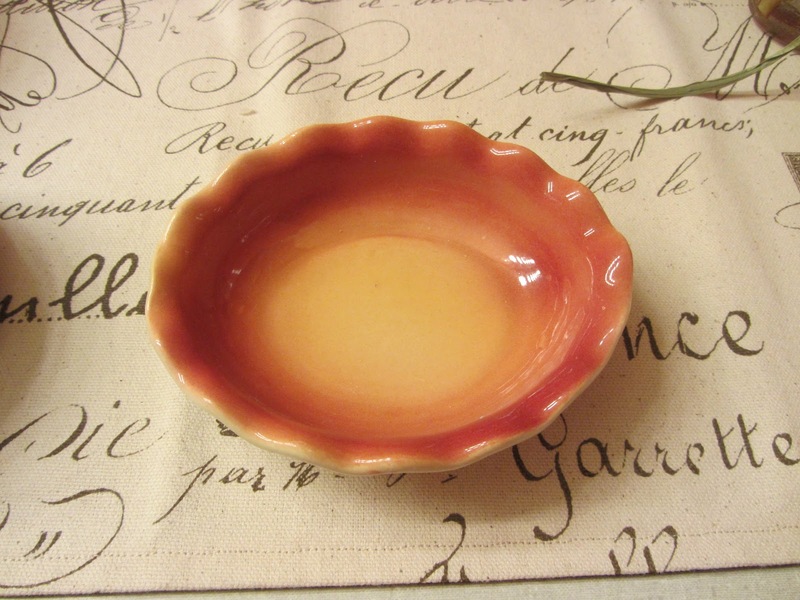 First, this cute little scalloped bowl/soapdish in the same colors as the Royal Copley pitcher. I am not sure of the maker, but it is marked USA 351, and I am sure it's vintage. 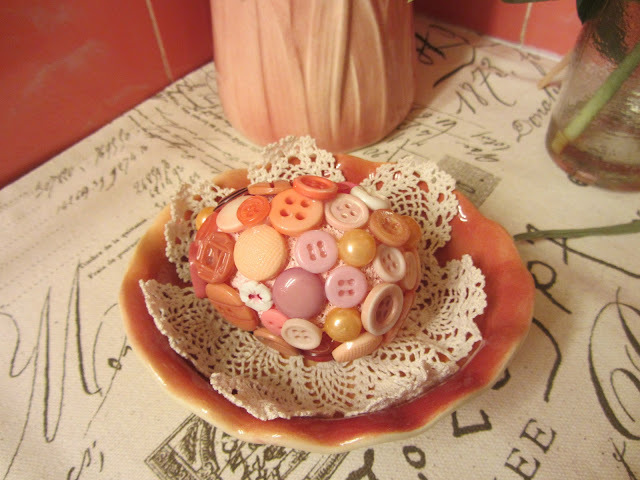 It was perfect for my peachy pink button egg. This was a great little find too at $2. A glass jar with silk peach and yellow tulips and "pretend" water. A great little corner display for my vintage tiled bathroom. 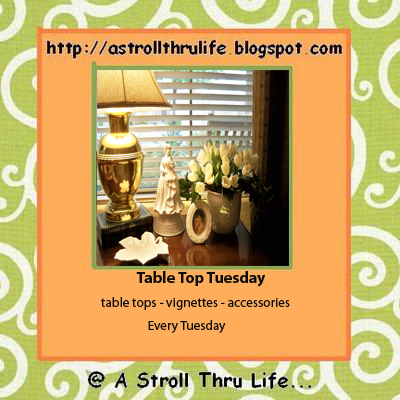 Thanks for checking out my little spring vignette! I have two vintage style bathrooms.......aqua and a soft green. I think they are coming back instyle. I love your pink. Nice vignette. It has a tropical feel. 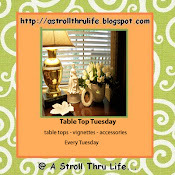 I just tagged you on my blog - you might want to check it out REAL soon! Your little spring vignette is so sweet. 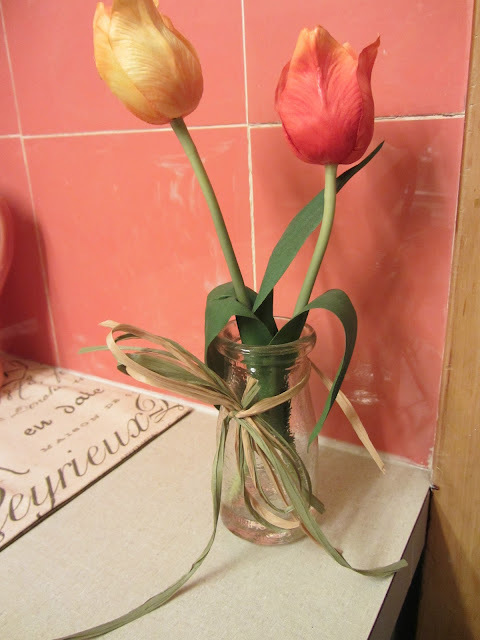 I love filling the corners in the bathroom with pretties. simply gorgeous!!!!!! i LOOOOOVE IT!!!! hugs... (the pitcher is to die for! 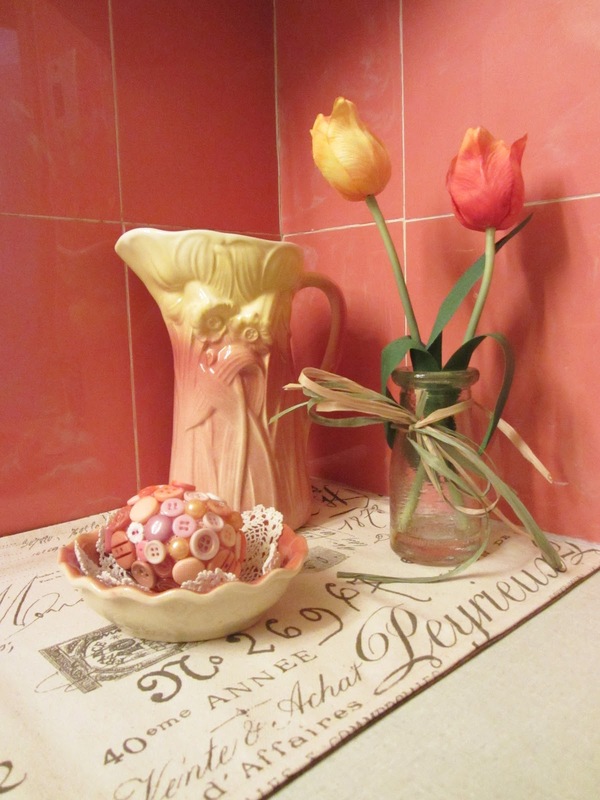 Love the vintage tile in the bathroom......and all your finds are PERFECT. Isn't the little vase a milk bottle?? Thanks for visitin' me today. Those pieces were MADE for your bathroom! The vase is gorgeous! I love your vignette and it looks so pretty in your bathroom. I have that same pitcher. Isn't it a pretty thing? What a great vignette! Love the coral colors.